My last three posts have featured Kids' E-Book Bestselling authors Cynthia Leitich Smith and Rachel Caine. Both had a wealth of information and insights for us. This week, it's time to catch up on the latest news in the e-format world, which continues to change fast! The hottest news this week? J.K. Rowling announced her new website, Pottermore, where she will be offering all the Harry Potter books in e-format for the first time. The site will have many other interactive features for Potter fans. While it will not be operational until October, Rowling's short introductory film on the home page explains it all AND includes some fascinating special effects. I recommend it! According to the Associated Press article, this move by Rowling "alarmed the book industry that helped make creator J.K. Rowling a billionaire." She has always retained the electronic publishing rights to her books, allowing her to now sell directly to her fans, bypassing not only the traditional publishing industry and brick-and-mortar bookstores, but also the popular e-book stores such as Amazon and Barnes and Noble. Her certain success is sure to have far-reaching ramifications as authors consider what publishers have to offer them versus what they can do on their own. For more on Pottermore and its impact, check out this International Business Times article. In the meantime, Barnes and Noble has been looking for a buyer since August of 2010. (I didn't know that!) For a while, the press was guessing that Amazon would scoop them up, but that no longer seems to be an option. According to a BusinessWeek article from March, Barnes and Noble launched the Nook two years after Amazon's Kindle. While the Nook went on to become their bestselling item, its profit margin is extremely low and it has always had to compete with the Kindle which holds the majority of the e-reader market. Meanwhile, Borders is still slogging through bankruptcy court, and you may have seen news that they were going to close another 50 stores. This was prevented by an 11th hour decision this week by the bankruptcy court judge who approved a "DIP ammendment". That requires them to pay a million dollar fine, but it extends their time to find a buyer, as explained in a Publishers Weekly article. Speaking of Borders, this week you'll see that I've removed them from my Kids Ebook Bestseller list, and I've added Apple's iBookstore. For the last couple weeks, I have not been confident with how Borders sorted their juvenile best sellers -- quirky adult titles were showing up, and one week they only listed 4 books as bestsellers. Also, Borders sells the Kobo e-reader, and I already feature the Kobo store on my list. So it's out with the old and in with the new. I'd like to add the Google ebookstore to my list, but despite several e-mails from me, they have not confirmed whether they list their children's books automatically in bestseller order. (From the looks of it, I don't think they do.) They do not currently give users the option to sort by bestseller. Off to e-mail some of my Kids E-book Bestselling authors to line up more insightful interviews for you! Today I'm continuing with Rachel Caine's thorough interview. If you missed Part 1, you can catch up through this link. I think it's great, and I've always seen a great potential in it. My publisher maintains the rights to e-books, so that's always been within their control as to when and where it occurs. To be honest, given the 80/20 print to e-format sales of my work, I've always been more focused on print than e-formats, although I do try to pay attention. It's tough when you have multiple editions, in markets and translations around the world, all with their own release dates, covers, formats, e-policies, etc. However, I have to also sound a warning bell: e-formats make it extremely easy for people to reproduce them (easier than paper, anyway). I now have an unwanted side job: while I don't spend time going after torrents and downloads, which is generally a losing proposition for me, I pursue people who take e-files and burn them to CD, or offer them for downloads, for their own profit. There's a significant number out there who believe that once they buy a copy of an e-book, they have the right to set themselves up as digital publishers ... reselling that copy in endless quantity, and telling those who buy it that the books are "public domain." I've personally taken down more than 300 listings for my books -- in collections of 20 or more of my works -- that were selling for between $5 and $20, in illegal e-formats. I have to do this each week, as it seems there's an endless supply of people who don't understand how copyright works. I'm still concerned about how we're going to preserve the writer's ability to make a living from their work, in the face of this. It doesn't worry me so much for myself as for midlist and beginning writers, for whom the erosion of sales can mean the difference between a lasting career, and a quick burnout. My situation's probably not normal ... I do have a higher profile than most (at least in the YA market) so I have a good amount of name recognition. However, I do a lot of marketing and always have. I appear at a ton of shows and conferences, keep in close touch with my readers via newsletter, events, signings, and social media as well (mainly Twitter and Facebook). I still don't think anything beats a personal face-to-face meeting, and word of mouth. Oh, helps -- with the caveat I mentioned above, but that's a future concern that needs to be handled before the future gets here. I think that removing barriers to people finding, buying, and reading the books can only be a good thing. There will always be people who love print better, or e-format better, but I do think the two can, and must, co-exist. There's a reason print technology is important ... it's more archival. Formats change, and change rapidly; what's readable today is ancient tech tomorrow, in the e-world. It's a common misconception that everything will eventually be available in e-format, but that's an illusion ... most of the books of the world have been written on paper, and they won't be transcribed into digital format quickly, if at all. We limit ourselves by pretending that the world's knowledge is only electronic. According to my research, the average lifespan of information on the web is about 3 years ... we bleed information quickly, and invisibly. So for me, print is an important archival tool. To learn more about Rachel Caine visit her website. The Morganville Vampires series also has its own website. Don't forget to check out this week's Kids' Ebook Bestseller List. This week we get to hear from Rachel Caine, an internationally bestselling author of over thirty novels. 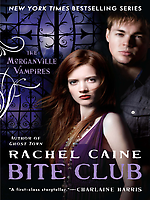 Bite Club, the tenth book in her Morganville Vampire series has been a top ten bestseller in the Sony E-bookstore for several weeks. Rachel very enthusiastically answered ALL of my questions with some super insights, so I'm splitting her interview over two posts -- today and next Saturday. Read on and enjoy! So Rachel, what’s Bite Club about? Hmm, probably better to tell you about the series first, since this is book 10 ... the Morganville Vampires series follows the adventures of a 16 year old college student, Claire Danvers, whose freshman experience is shaping up to be far worse than the norm .... first, she's run afoul of the meanest mean girls around. Second, she's younger, smaller and smarter than most everyone on campus. And third ... she's got the bad luck to attend college in a town that's secretly owned and operated by vampires. With the help of three Morganville natives not willing to conform to what's expected of them, she's discovering all the secrets of a very strange and dangerous town. In Book 10, BITE CLUB, all seems relatively peaceful in Morganville, for once, with a fragile peace between the human and vampire residents in place ... but there's a new gym in town that promises to teach humans how to fight their blood-sucking neighbors. When Claire's boyfriend Shane, always up for a fight, gets pulled in and starts showing increasingly ominous signs of violent tendencies, it's up to Claire, Michael and Eve to try to pull him back from the edge and save the town from exposure. And yep, there's a book 11 coming (LAST BREATH) in November, as well as a book 12 in May 2012. Wow -- I'm feeling for your protagonist already! Who is your target audience, and how do you think the e-format meets their needs? The main audience for these novels is young adult, so usually fourteen to eighteen ... but I have a very large crossover adult audience as well, and I think that these are the ones driving the e-format sales. More and more I find that working professionals love e-books ... they're not just portable and compact, they're also time-saving in that the bookstore is right there at a click. I think as the price points shake out for the technology and content, we're going to see more e-books in schools and in the hands of teens as well, but it will take a little more time, especially with educational budgets constantly shrinking. Your books are also available in print format. Which came first? How do your sales compare between the p-format and the e-format? My books have always been print first. I've been publishing steadily since 1991, so e-books are a relatively new phenomenon for me ... I'm fortunate to have a large footprint in the print bookstores, so that is still where the majority of my sales reside. I don't think one format is necessarily better than the other, honestly ... I think they're complementary. When I find a writer I particularly love, or a book, I always buy it in print as well as in e-format so that I can read it on the go. How did you first get published: traditionally or independent? Very much traditional. I have nothing against independent publication, but I do think that traditional publication evolved over more than a hundred years to answer a lot of the challenges that indie publishing still faces ... how to make sure you're putting out the best material, how to get the material out to potential readers, and how to build an author's work into a career. It's harder as an independent. You need to be a master of many more things than writing -- you have to be a top-notch editor, salesperson, business agent, marketing expert, artist, etc. So traditional publishing has always been a comfortable fit for me, even though I *can* do a lot of those things myself. I choose not to do them, and to focus more on writing. Check back next week as Rachel weighs in on a pitfall of the e-format that none of my interviews have addressed yet. And check out this week's Kids' Ebook Bestseller List. Several new authors have broken into the Amazon top ten, which is exciting to see! This week Cat Calls by Cynthia Leitich Smith hit the number 3 spot in the Books on Board e-book store. Cynthia has taken the time to let us know about her book and her e-format success. What's the story on Cat Calls? Tiffany's grandma sees something wild in her future -- but is Tiffany prepared for the powerful shape it will take? CAT CALLS is a short story by New York Times Bestseller Cynthia Leitich Smith -- set in the same Gothic fantasy universe as her novels TANTALIZE, ETERNAL, and BLESSED. Is your book available in print format? 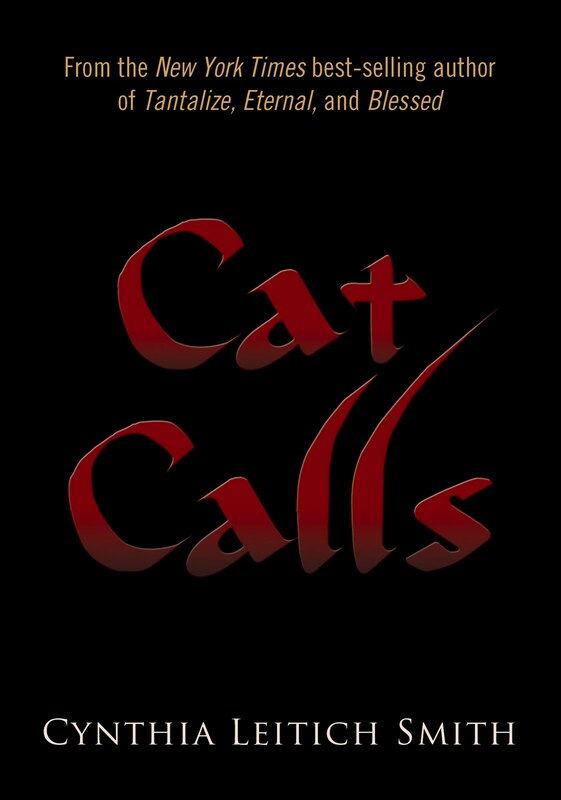 My e-book offers a short story, "Cat Calls," which was originally published by Candlewick Press in hardcover as one of several in SIDESHOW: TEN ORIGINAL TALES OF FREAKS, ILLUSIONISTS AND OTHER MATTERS ODD AND MAGICAL, edited by Deborah Noyes. My publisher and I decided to offer the story to YA readers who were fans of my existing Gothic fantasy universe or might be interested in exploring it. How did you initially get published? I've been publishing since 2000, well before there were e-books, and I've published traditionally with Candlewick Press, Dutton/Penguin, and HarperCollins, among others. What's your opinion of e-publishing? My trade YA novels (TANTALIZE, ETERNAL and BLESSED) are all available as both electronic and print books. At the moment, I see the electronic market as simply another format option--like my audio editions of existing print books. I'm happy to connect stories to readers through whatever venue. E-books are great for travel, portability. Print books feel more comfortable in my hand, and I like to see them in a room. They add warmth. I have a popular blog, Cynsations, where I've occasionally mentioned CAT CALLS and feature an announcement about it in the sidebar. I've also tweeted as it's become available from various online retailers. Right now, it's a neutral. Another opportunity to connect books, but still a very small percentage of the children's-YA book market. Thanks to Cynthia for sharing her opinion and experience. Readers, if you have an e-reader, Cat Calls is currently available for free! Get the Kindle edition, the Nook edition, and as mentioned, it's also available at BooksOnBoard.com. I'm off to download a copy to my Kindle. 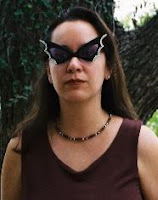 To learn more about Cynthia, (and to see what she looks like behind those glasses) check out this interview about her latest novel, Blessed. See you next week, when we'll hear from Rachel Caine, author of the Morganville Vampires series.